Are you a cruise vacation type of person? Ever wanted to sail the seas visiting different countries in a week on a luxury ship tricked out with the flyest amenities? It’s my kind of vacation and has been on my t0-do list forever. A big drawback for me not yet accomplishing this goal is the fact that us Jamaicans must factor in airfare to get to a port. If I have to fly to Miami first, I may as well stay and vacation in Miami. Thomson Cruises has now changed this for us. There will finally be a cruise line setting sail from Jamaica, cutting out the need to fly to another port first. Isn’t that awesome? The first cruise sets sail in December so we all have ample time to plan. Let’s see what our options are. The Cuban Fusion Cruise sets sail on December 30, 2014 for the first time from Montego Bay on to Playa del Carmen in Mexico, then spends two nights docked in Havana, Cuba before it moves on to Georgetown, Cayman and then heads back to Jamaica. There’s the Spanish cruises that heads to Costa Rica, Panama and Colombia, there’s the Festive Flavours cruise which takes us from Montego Bay, to Honduras, makes stops in two Mexican cities before heading back to Jamaica as another 7 night cruise option and if you have more time, and moolah, to spend, there are cruises that go up to 25 nights sailing across the entire Caribbean. Check out the options available here. The prices start somewhere at US$650 per person which doesn’t seem bad for a 7 night cruise. What I would love for them to do is add some cruises with fewer days. I could take a cruise to Cuba and Turks and Caicos and come back home. Sounds good to me. I might be alright with going only to Cuba for 3 nights too, a night in Havana and a night in Santiago? No? 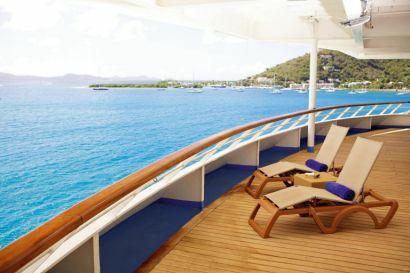 Are you excited about this new cruise line leaving from Jamaica? Plan to take a trip? What are your thoughts on this? Leave your comments below. Great Cruise from JA. My family loves cruising and always looking for new adventures. I will surely check them out. . . Sounds right up my alley. Thanks for the info Irie! Been considering a cruise for a while now. Pity it’s when I’m not home but Nassau not far. Sounds exciting! The 3 day ones won’t work tho cuz it usually takes a day or almost a day 2 sail. I am very impress with what I see. I always travel with thomson Airline, But never done a cruisel tjhis look right my alley. I am 55 years old on the 13 of may that could be a perfect gift for my self. Awesome.